To become a web designer in the UK you do not really need any formal qualifications by law in order to set up on your own and start designing websites for clients. This is both a blessing and a curse to professionals wishing to work in the web design industry. On one hand it makes it very easy for professionally skilled individuals to join a rewarding and potentially very lucrative industry. On the other hand the industry is given a bad name, confused and cheapened by cowboy web designers, who enter the industry without adequate qualifications, skills and experience. This article outlines the qualification that you will realistically need in order to embark on a career in web design and obtain a role with a UK web design company. First of all, to become a web designer one of the pre-requisite qualifications in the UK is to be higher educated. This means a minimum of a Higher National Diploma (HND) in a computer or media related subject or better still, a degree from a red-brick university. I personally hold a first class honors degree (BSc) in computer science from the University of Sunderland, which I am certain allowed to get me a foot in the door of one of the leading web design companies in the Yorkshire area. Studying for such qualifications allows you to develop an awareness of the industry and allows a lot of time for self learning of software skills and web design techniques, which are critical for a career as a web designer. Of course the skills that you need will vary depending on the area of ​​web design that you intend to pursue. Graphically oriented web designers will need strong graphic design skills such as adobe photoshop, fireworks and flash. Web Designer that are more coding oriented will need a strong command of the following skills: HTML, CSS, SQL and ASP or PHP. The latter are typically referred to as web developers rather than web designers. The time taken to achieve competency in web design technologies in my opinion is 3 years this can be coupled with the time it takes to study for a degree at a UK university. Of course formal qualifications are only a small piece of the puzzle. It is the experience gained from your first web design job that you will find most valuable. From my own experience, I learned more from my first 6 months working in the web design industry than I did during my 3 years at university. There really is no substitute for the experience of working with a professional web design company and being able to ask experienced web designers for help and advice. Over time it is definitely worth developing a web design specialism. For me it was the development of search engine optimized website. It was that particular area of ​​web design that took my interest and the area in which I have excelled as a website designer. Becoming a specialist in a particular area will really raise your stock and will allow you to become and expert in your own particular niche. Undoubtedly, the use of mobile devices has grown bigger just because they are an instant medium to access internet and mobile applications. These mobile applications are of great characteristics and this is the reason, the corporate sector has found no other way except to promote and sell their services through mobile apps. Companies are looking forward towards mobile strategy for effective promotion of their businesses. · Professional developers are experts. · They know about standard development. · They are quick and cost-effective. · They can incorporate essential features. · They understand purpose of development and know the exact solution. Have they built any significant app before? The core reason of developing a mobile app for business is to get the app downloaded more & more so that business can gain maximum profit. While making selection of mobile app development company, you have to find out whether the company has ever done any significant project or not. Their previous apps can help you understand their efficiency and devotion towards work. Only certified companies can help you develop a trusted and reliable app. Therefore, it is better to check with their certification or authorization. Before hiring, it is very important to know whether the company has a good reputation or not. You must go through the testimonials of the company’s client so as to know company’s dealing capabilities. Does the company offer good prices? You have to be very vigilant with the prices because you expect a good app within your budget. You must check with the prices, other similar companies are offering in order to know what suits your budget. It is advantageous to hire experienced developers because experienced developers have vast knowledge to deal with different phases of development and they can end up with an app free from errors. Is the company capable to work on cross-platform? The company must be aware of cross-platform development in order to get the app developed for several platforms. You must make sure that the company can go through cross-platform development and can build an application on different platforms. It is a mobile age and communicating customers through mobile can increase selling opportunities. Such opportunities can only be availed if your business app is useful and effective. However, to develop an effective app, you need to hire a professional company and check with its efficiency of work, professionalism, past-experiences, cross-platform development knowledge and reputation etc. If you have an ecommerce store, you must be aware of the Magento platform and its widespread popularity due to its rich functionalities and customization options. This open source software is used by more than 250,000 online retailers and that includes some big brands like Samsung, Ford and Nike. Though it may offer a rich library of features and functions, Magento development offers very limited reporting and analysis capabilities. Modern online store owners and merchants require something more than just transaction records and traffic data to remain competitive in the market. In simple words, they need business intelligence. There are merchants who are frustrated and are not willing to go through the complex process of studying their customer’s behavior and formulating strategies based on the reports. How Magento helped merchants with the benefits of Magento Analytics? In 2016, to help merchants easily gain insight of their customers and across their organizations, Magento acquired RJMetrics that provides big data analytics to business of various sizes. This was called the Magento Analytics. This cloud based, advanced analytics solution was integrated with the Magento development platform, so that the merchants could have a better understanding of their customers and sell their products in a smarter way while increasing their ROI. Magento Analytics is a business intelligence solution which means that it gathers data from various sources and offers an intuitive front end that can be used to discover new insights by the merchants. But today, Magento Analytics has been rebranded to Magento Business Intelligence and it reflects the power and depth of the software and offers a holistic view of the customer journey from varied data sources. 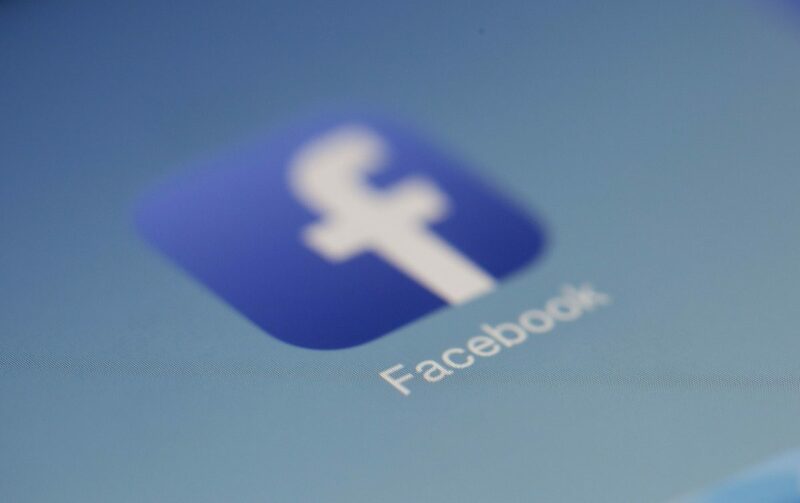 It allows the merchants to gather data from multiple sources like MySQL, Salesforce to Facebook Ads into a single source that is accessible across your organization. This has helped the merchants to gather faster and accurate information and save their valuable time and spend it more on applying the insights. Magento BI is suitable for both technical and business users and its cloud based delivery model seamlessly resolve any complex data infrastructure needs of the company. In case the merchants need any additional help to work with and understand the data, then it also offers additional professional services. There are two core products: The Magento BI Pro, which is great for experienced merchants and who are involved in advanced cross source analysis. Magento BI Essentials also offer access to five dashboards that comprises of about 75 reports at cost effective rate. These are all best in class analyses. So, you need to have WordPress on a subdomain and want to know how to create a WordPress subdomain. Creating a WordPress subdomain is a fairly straight forward task. But first things first. A subdomain is a separate entity from WordPress. You can have a subdomain that you could put a web site on, a forum, a WordPress blog etc. So first things first, you need to create a subdomain on your web site where you can install WordPress. To create a subdomain you will need to log into your web hosting account. I am going to cover the cPanel interface here but most interfaces will be fairly similar. 'Subdomains' option in your cPanel account on your web host. This will be located under the 'Domains' category in cPanel. You should also see options for 'Addon Domains', 'Parked Domains', 'Redirects', and 'Simple DNS Zone Editor' in the 'Domains' category. Obviously we are going to select the 'Subdomains' option. After you click on the Subdomains option you will see two text boxes. The one to the right contains your domain and the one to the left is empty. The text box on the left is where you will enter the name that you have chosen to be your subdomain. This can be any name you like. You should try to keep it either short or rich with keywords. Preferably both if possible. So say our domain name is widgets.com and we are going to name our subdomain 'blue' then we will end up with 'blue.widgets.com' with our subdomain added. You could put in 'green' for 'green.widgets.com' or 'pink' for 'pink.widgets.com', well you get the idea. Once you have picked your name just type it in the text box on the left and click the 'Create' button. That's it! You now have a subdomain. But your thinking that's great but you want WordPress on your subdomain, so that is where we're heading next. Go back to your cPanel home page and find the 'Fantastico De Luxe' option. This should be located under the 'Software / Services' category. It has the smiley face icon above it. Look for the 'WordPress' option which you will find located under the 'Blog' category. After you click on the 'WordPress' option you should see an option for a 'New Installation'. After you click on 'New Installation' you will see numerous options. The first option will be the 'Install on domain' option. You will notice a dropdown box next to this option. When you click on this dropdown box you should see your newly created subdomain listed as an option. In keeping with our example you would see 'widgets.com' as the default address and 'blue.widgets.com' in the dropdown box. You will want to select your subdomain. If you do not see your subdomain then it was not created correctly and you will have to go back to your cPanel home page and create your subdomain again. After you have selected your subdomain to install WordPress in, you will want to fill out all the other options. I would suggest leaving the 'Install in directory' option blank so WordPress installs into the root directory of your subdomain. So if your domain is widgets.com and you want your subdomain to be 'blue' then your WordPress blog would be located at blue.widgets.com provided you left the folder name blank to install into the root directory of your subdomain. If you install WordPress in a folder on your subdomain, say we name this folder 'plastic' then your WordPress blog would be located at 'blue.widgets.com/plastic'. It can get a bit confusing which is why I would suggest leaving the box blank and installing WordPress in the root directory of your subdomain unless you have a good reason to do otherwise. You can have the fanciest website design in the world, but if it's hard to find or identify the content your site then your site is going to waste, it's not going to help anyone find what they want and if they can not find what they want they are out of there. Here's some web design tips and ideas to make your website user friendly and to ensure it does what it supposedly to do … Provide information !! The first thing to do is to make sure the body of your content is relevant and readable. If you have large blocks of text, make sure you space them out even so the reader has smaller chunks to read, that way you will keep their interest for longer. Make it easy for visitors to navigate to the content that they are looking for on your site. If you've got a lot of articles on different topics on your site make sure that visitor can identify and find that article easily. You have to find a means to enable the visitor to do that without hassle. Create a summary page with categories and an index of articles that they can link to straightaway. Make sure pages and images load fast, because you do not want to lose any visitors. Most visitors will leave a website if within 15 seconds if has not loaded completely, so make sure your information is loaded and delivered to the visitors as soon as possible to retain their attention and keep them there. Finally, test each and every link on your site regularly, there is nothing more frustrating to the reader than believing they have found what they want only to find they can not get there. Not only that, it can hurt your search engine rankings. Make sure website is successful by doing the right website planning and following up with a good easy to navigate web design . Do you have an idea for the next great mobile app? Apple’s App Store and the Google Play Store are highly competitive marketplaces (to say the very least! ), with millions of free and paid apps competing for user downloads on both iOS and Android. Companies who want an Android app developed right alongside a new iOS app may wind up doubling development costs and losing focus on the app’s overall user experience. Building an app on one platform first – typically for iOS, or as a Progressive Web App (PWA) – is the best way to “test the waters” before moving ahead with new platforms or app features. This is referred to as a Minimum Viable Product (MVP), getting at least something published in the App Store or in the hands of your users as soon as possible…version 1.0 of your app! In addition, launching on both iOS and Android at once can make changing the app structure, design or functionality more difficult, as you’ll need to duplicate these efforts for multiple platforms, increasing cost and time spent. It’s generally better to finalize an app on iOS and have a couple of iterations prior to developing an Android version. Remember that Instagram had over 30 million iOS users long before they moved to their Android version. Sure, in-app ads are great for monetization of your app, especially if it’s a free download. Venti vanilla lattes aren’t gonna pay for themselves! Ads can help significantly offset development and maintenance costs. But imagine those your loyal users suffering through full-screen video ads or pop-up image ads. They can slow your app’s performance and even cost you that coveted five-star App Store rating! That said, you can still display ads while ensuring they are don’t annoy your users. How do you advertise or monetize while ensuring your UX (user experience) doesn’t go down the drain? 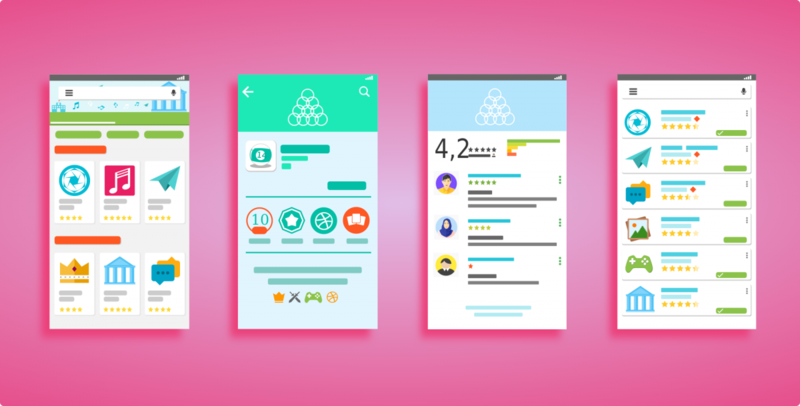 Testing is the answer – make sure the appearance of the ads is customized with user experience in mind, to not compromise your app’s design or performance. A mobile app isn’t a watered-down version of your website chillin’ on the App Store, they’re fundamentally distinct in the size, functionality, and scope, not to mention user expectations. Some think that their app ought to look or function identically to their website site, lest it is somehow less valuable. That’s completely untrue. Native mobile apps, hybrid mobile apps, and even Progressive Web Apps (PWA’s) are significantly different from their website cousins. The advantage of increased accessibility to the device’s hardware and scope for complete mobile customizations set it apart, so let your imagination run wild to create the next great, game-changing app. Or, even better, work with B2 Web Studios to get your app idea off the ground! What is WordPress and what types of accounts are there? Launched in 2003, WordPress is now the world’s most popular blogging platform. It is used as a powerful website creation tool and a content management system (CMS). It is free and an open source tool originally designed for bloggers. The blogging tool is based on PHP and MY SQL. From its launch in 2003, this simple blogging tool has evolved into a powerful CMS and website creation tool for millions of users around the world. According to the latest statistics, almost 19% of the world’s top 10 million websites are using a WordPress platform. In total, the number of websites using WordPress is now over 60 million. WordPress is still basically open source blogging software that allows beginners to start their own blog in only a few simple steps. As the free and open source WordPress.com software allows upgrades, the simple blogging software is now much more than just a blogging platform. The software allows users and programmers to add and upgrade their account with personalized domain names, video storage and custom CSS. It is hosted by WordPress for FREE (although some optional upgrades are charged) and allows users a number of different upgrades and better content management options. WordPress handles the hosting service and the blogger only needs to concern themselves with providing the content. The hosting service includes security features and backups. It also allows you to upgrade to your own custom domain. WordPress.com allows users to choose from a wide range of themes or create your own custom theme for your website. WordPress.com also allows users to integrate their website or blog with the top social media networks like tumble, Facebook and Twitter. Some of the other features included are statistics, sharing and polls. In case you require help, there is a large resource center available that can provide detailed guides to WordPress.com users for almost any issue … major or minor. If you are signing up with WordPress.org, you will be responsible for managing your own content, as well as hosting your website or blog on your own. This means that you will have to find a paid hosting company to host your website with regular backups and maintenance. Most security features are also provided by the hosting company with this option, instead of by WordPress. Just as with WordPress.com, WordPress.org allows you to build our own features using scripting languages like PHP and CSS. Unlike many built-in functions provided by WordPress.com for sharing and other features, you will need to install plugins if you wish to add different functionalities to your website using WordPress.org. There really is a huge difference between both accounts and understanding these differences is important when choosing the right option for you. Overall, WordPress.com is usually more suitable for beginners, bloggers and small business owners who are interested in free services, whereas WordPress.org may be a better solution for larger companies that are interested in more customized websites, extended features, e-commerce functionality, and better security. Most businesses that want to have complete control of their website, due to security or monetary reasons, choose to go with the WordPress.org option.